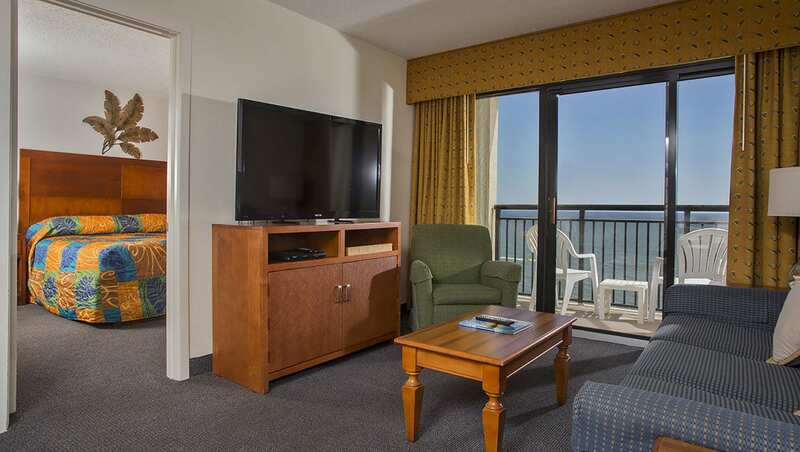 The Two Bedroom Oceanfront Condo is a great option for families vacationing in North Myrtle Beach. Featuring two bedrooms, a kitchen, and living room, this condo is just like a home away from home. 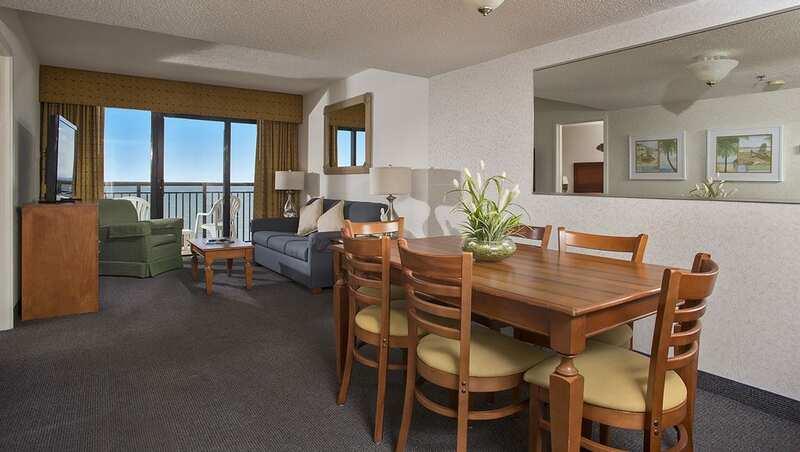 This condo features an oceanfront living room with private balcony access (shared with the master bedroom), a sleeper sofa, dining table with chairs, as well as a cable TV and DVD player for your evening relaxation. 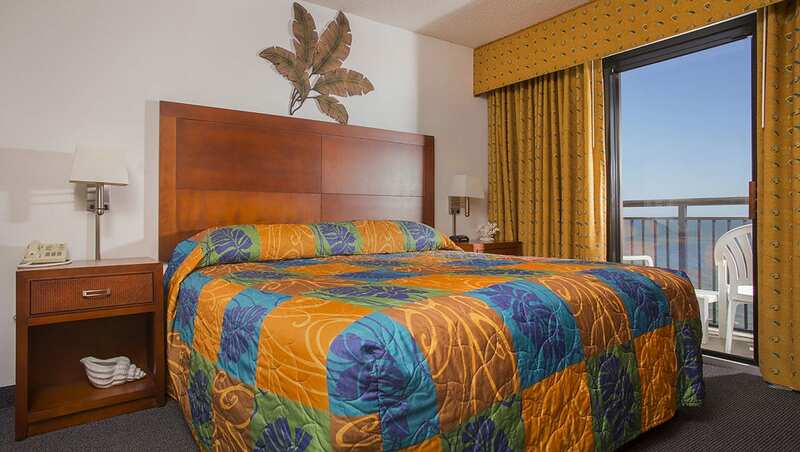 Adjacent to the oceanfront living room is the oceanfront master bedroom featuring a TV, a king bed, and balcony access. 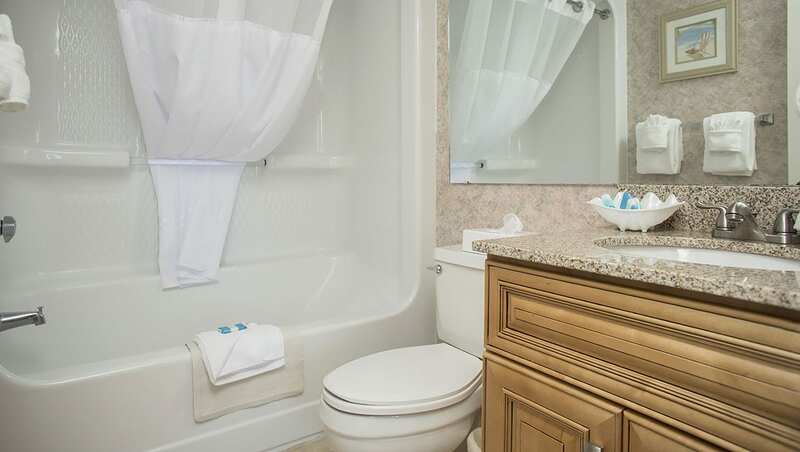 It also features a private bathroom with a tub. The second bedroom features two double beds as well as a TV and is perfect for the kids in the family. 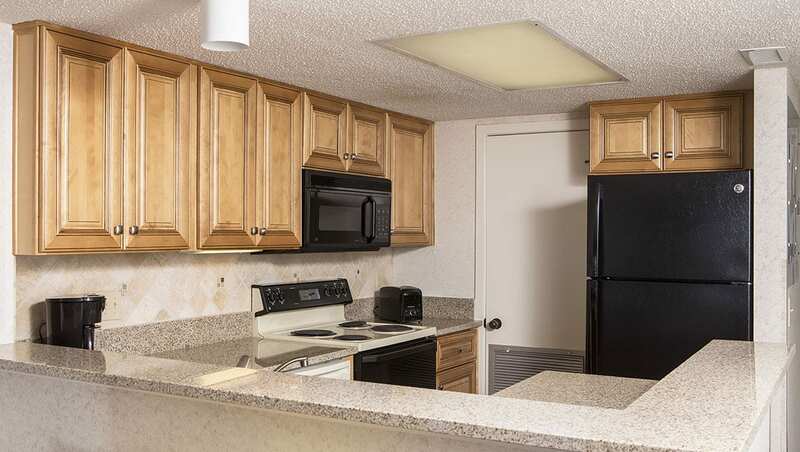 Our North Myrtle Beach two bedroom condo also features a full kitchen complete with a full-sized refrigerator, oven/stove, microwave, coffee maker, toaster, and a dishwasher, making cleanup a breeze. You won’t even need to bring your own plates or utensils; all kitchens come stocked with basic cooking and dining utensils. Sleeping up to four adults and four children, this condo is sprawled out over about 1,100 square feet. 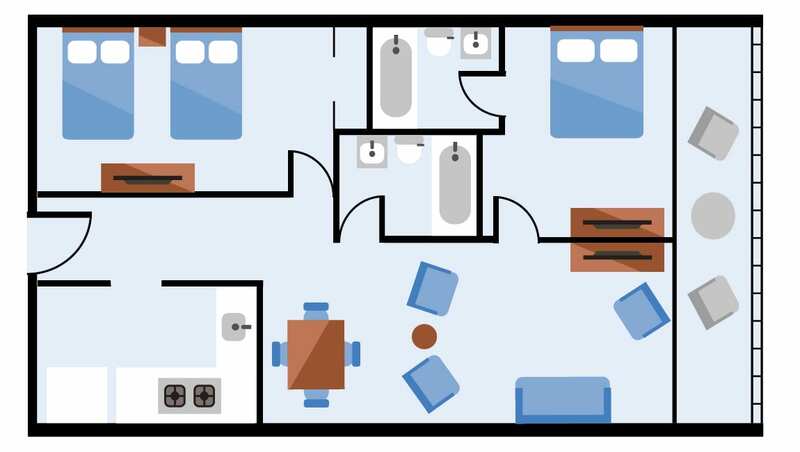 Located in our C Tower, it includes daily housekeeping, an iron and ironing board, in-room safe, complimentary Wi-Fi, blackout drapes, and a second bathroom with a tub and hairdryers in each bathroom. 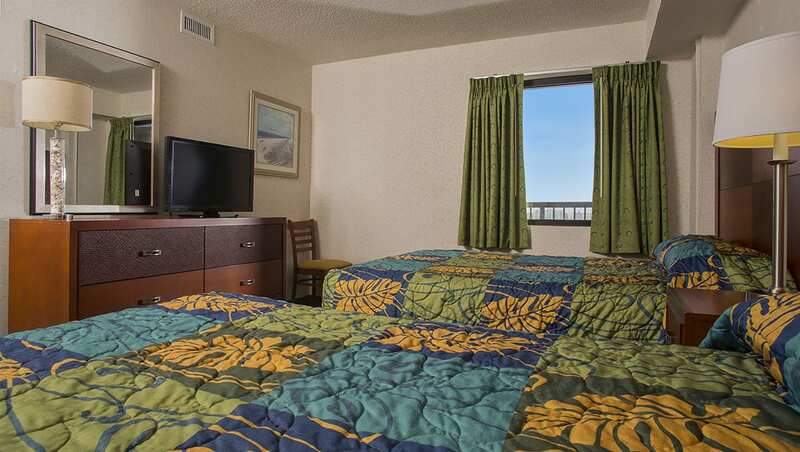 It also comes equipped with an in-condo washer and dryer, perfect for washing beach towels, swim suits, and more!